Kieron can offer a range of packages for weddings or private functions, starting from £300. Whether you would like light acoustic love songs during champagne and canopes, or a more upbeat setlist focused on your guests dancing and singing long into the night, then please get in touch! 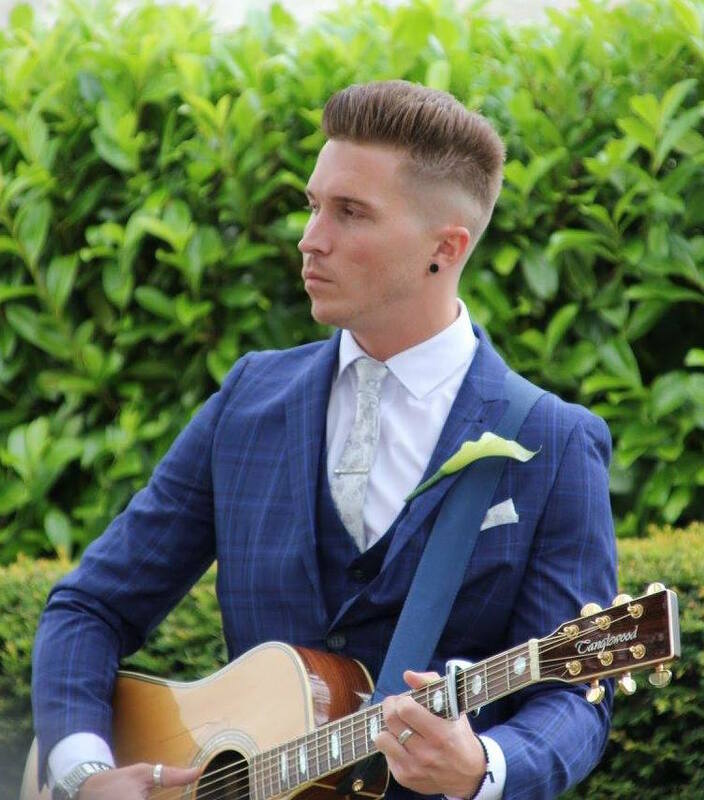 Kieron can build a live entertainment wedding package to fit your needs, including recorded music for interludes or late night discos, to ensure you can enjoy a day of top music and focus all your attention on your special occassion. Kieron will also always have the option for you to use a preloaded playlist on an iPod / iPhone / etc, through the sound system for a personal touch or for necessary background music. If you would like your all important first dance song performed live, then Kieron is more than happy to do this for you! He will learn any song in any style you require, and provide you with a demo before your wedding for your assurance or to practice those moves. At no extra cost, he will also provide you with a recorded CD of his version of the song to keep in your wedding portfolio for that personal touch. Please discuss these details with Kieron if required.